Introducing the new and improved Stampin' Trimmer! Although paper trimmers are a common crafting tool, this trimmer was designed exclusively by paper crafters for paper crafters-and because it was made by Stampin' Up!, you know it's a cut above the rest. Please note, the cutting and scoring blade refills will be available early in December. Big Shot Machine -- just $99 through me! 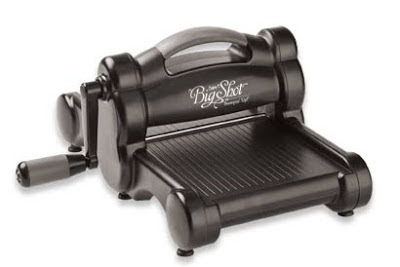 Would you love to GIVE or RECEIVE a fabulous Big Shot Machine for the holidays this year? If the answer is YES, then you want to take advantage of my fabulous BIG SHOT special, available through me now through Dec 17, 2012. Order your Big Shot through me and pay only $99 (+ shipping & taxes), rather than the regular price of $122.95! FREE SHIPPING OFFER: If you are willing to come pick up your order from me (either Don Mills/Eglinton or Danforth/Victoria Park), I'll throw in FREE SHIPPING as well (save 10% extra this way). Please note that this offer is NOT available online through Stampin' Up! but is instead an exclusive offer from myself - please email me to take advantage of this special price.